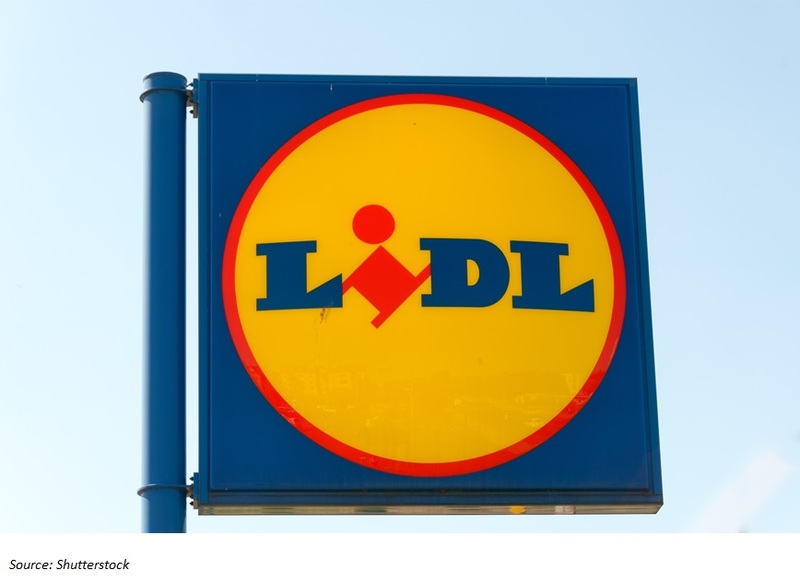 If there is one topic we are frequently asked about, it is Lidl’s entry into the US market. The German grocery discounter will open its first 20 US stores this summer in three states in the East: North Carolina, South Carolina and Virginia. We will shortly publish a full update on Lidl’s expansion into the US. In this week’s note, we wrap up some key findings from our research so far. Lidl plans to open locations in more states than just the three chosen for its initial tranche of stores. When we checked its website on March 22, the company was hiring for store-based roles in a total of 38 towns in eight eastern states: Delaware, Georgia, Maryland, New Jersey and Pennsylvania as well as North Carolina, South Carolina and Virginia. Lidl will operate bigger stores in the US than it does in Europe. Its stores will typically have 21,000 square feet of selling space, according to a Washington Post interview with Brendan Proctor, Lidl’s US CEO. That is roughly double its average store size globally and more than double the size of rival discounter Aldi’s typical US store, which is approximately 10,000 square feet. Lidl is a limited-line discounter that relies on economies such as narrow choice and a strong private-label focus to enable low prices. Given this model, and the fact that the retailer will likely not have benefits of scale in the US market for some time, Lidl looks to have limited opportunity to offer substantially higher-than-average product counts in private-label packaged goods. So, how will Lidl use all that extra space in its American stores? First, we expect Lidl’s stores in the US to include enhanced fresh-food sections. The stores will almost certainly have fresh bakery departments, and we expect substantial fresh-produce departments, too. We have seen a greater focus on fresh foods in other nontraditional markets, such as the UK. Second, general merchandise will be in the mix. Lidl’s European stores include fast-changing selections of nongrocery ranges, from DIY goods to apparel. In the Washington Post interview, Proctor confirmed that Lidl’s US stores would include a “large section” dedicated to these ranges. Third, a greater number of third-party brands is a possibility, although we have yet to see which major grocery brands will appear on Lidl’s shelves. Who Will Shop at Lidl? We think the best way to understand who will shop at Lidl is to look at who shops at Aldi in the US, given the similarity between the companies and their comparable focus on eastern states. For this, we turn to consumer survey data from our research partner, Prosper Insights & Analytics. In terms of crossover between shoppers at Aldi and shoppers at other major grocery rivals, the biggest overlap is with Kroger: according to survey data from Prosper, as of August 2016, nearly 24% of Kroger grocery shoppers had shopped at Aldi in the previous 90 days. That rate was 20% among Sam’s Club shoppers, 17% among Walmart grocery shoppers and just 10% among Costco shoppers. Looking at demographics, frequency of shopping at Aldi US tends to increase with age: among those surveyed by Prosper in August 2016, some 16% of millennials, 19% of Gen Xers and 21% of baby boomers had shopped at Aldi in the past 90 days. While we think these data are a good ballpark guide, much will depend on Lidl’s final US proposition, and how the company uses the extra space in its stores. We will offer a more detailed analysis in our forthcoming report on Lidl’s US market entry. Keep an eye out for it at FungGlobalRetailTech.com.